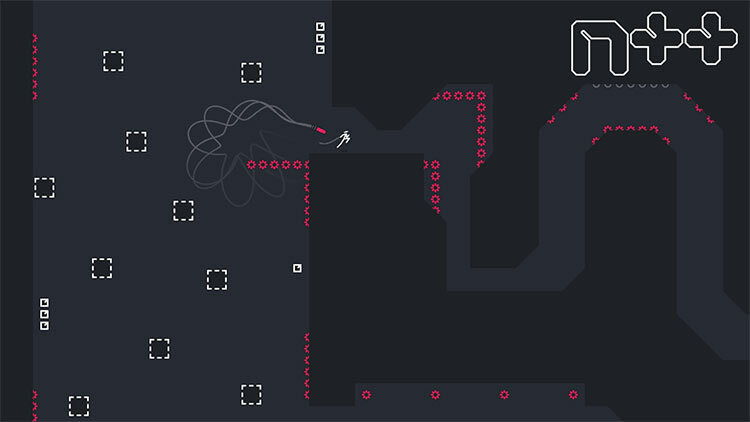 N++ is a fast-paced, momentum-based platformer about darting around obstacles, narrowly evading enemies and collecting gold in a beautiful minimalist landscape. 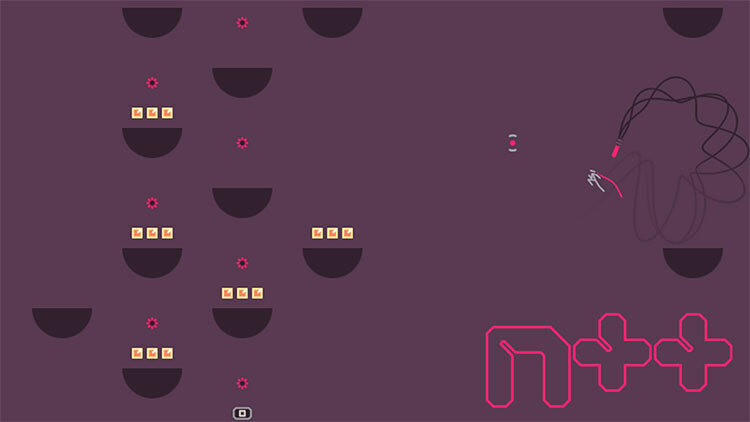 N++ is all about using your momentum to complete levels and get high scores, but in this sci-fi world, there's a slew of inadvertently homicidal enemy robots trying to prevent you from completing your goal. Through the hand-crafted (NOT procedurally generated) levels, you'll experience platforming at its most intense. 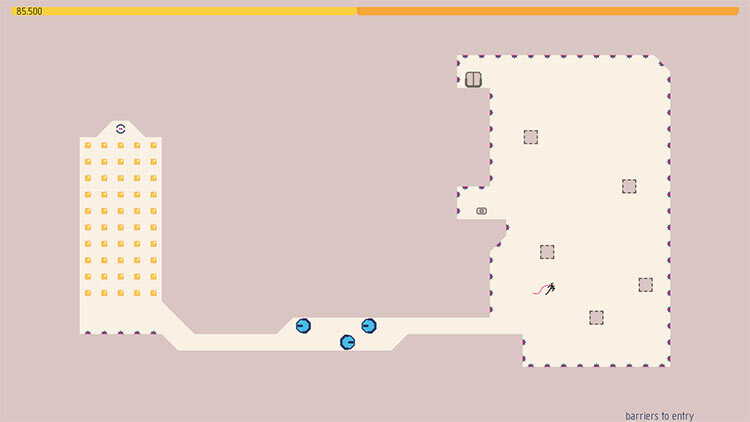 Using only your fluid movement, you need to 'solve' each level and get to the exit. 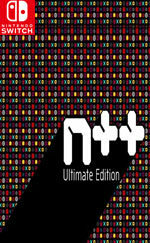 All in all, content-wise N++ is a fantastic package. With the level editor more levels are available than you could probably play in a lifetime. And while the game’s atmosphere isn’t it’s strongest attribute, what it lacks in interesting aesthetic it makes up for with diversity in level design. If you have a buddy around, the multiplayer options are great for jumping and racing through the episodes. 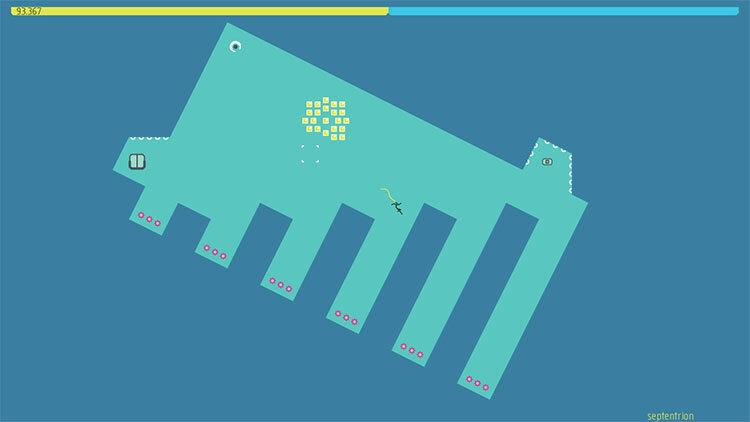 N++ is an excellent physics-based platformer that demands you develop your skills to overcome its challenges. The art style may not be for everybody but its hundreds of included levels and countless hours of community content make it an excellent investment. 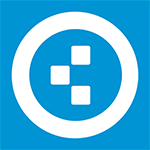 Bags of levels and increasing difficulty will keep N++ refreshing for hours and days on end. The mechanics are simple and yet incredibly deep, which opens up a wonderful game brimming with customisation options and new modes to try out. Floaty controls sometimes hamper progress, but the deaths are always spectacular. A free-running joy at home or on the go, N++'s tricky yet gratifying array of platformer puzzle levels ensures a worthwhile purchase, and the online options only extend its already considerable lifespan. 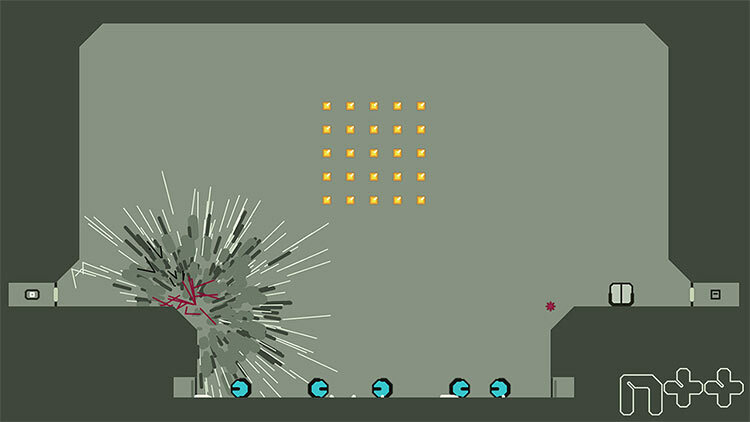 With single- and multiplayer options fitting the Switch's form factor and detachable controller attributes like a glove, N++ is a strong consideration for top indie game on the eShop.